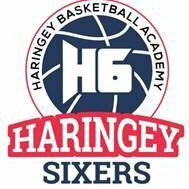 It was a bad month for Haringey Sixth Form College's Basketball Academy. H6's ABL team lost to St Charles in a top of the table clash, which saw St Charles win a nail biting game with both teams giving everything 57-50. Aoc Men's 2 team lost to West Thames in Overtime 78 - 74 in the final of group D. Congratulations to West Thames who advance to the last 8 in the Aoc National Cup. Aoc Men's lost to Peterborough and Conel, the latter will be crowned 2016-2017 Aoc Men's East League champions. H6 returned to winning ways with a CBL victory over a unbeaten Access to Sport team. Followed up with two convincing ABL team wins against Leyton Six Form 78- 51 and Havering Six Form college 141-33. Aoc returned to winning ways also by beating Oaklands Men's 2 team 71-62. Lastly our second team were knocked out of the u19 Basketball England National Schools competition on Thursday 23rd Feb a trophy we were defending. On Monday 27th February our u17's will be playing at home against Bishop Wordsworth School from Salisbury, Wiltshire. To see who advances to the regional finals. An our ABL team will travel to UEL Sports Dock, a national sports centre to play Barking and Dagenham on Monday 27th and on Wednesday 1st March they will face Hackney Community College team in a penultimate London Division championship game.